The gear you need to pack just to get away for a weekend in the woods really adds up in weight and bulk. The outdoor industry is trending towards lighter products, raising the bar of efficiency, and utilizing technology to its fullest extent. What better way to save weight than with a piece of gear that serves multiple purposes? This could be something as simple as using a clothes sack for a pillow. But imagine a product even more valuable — one that does three things in one. 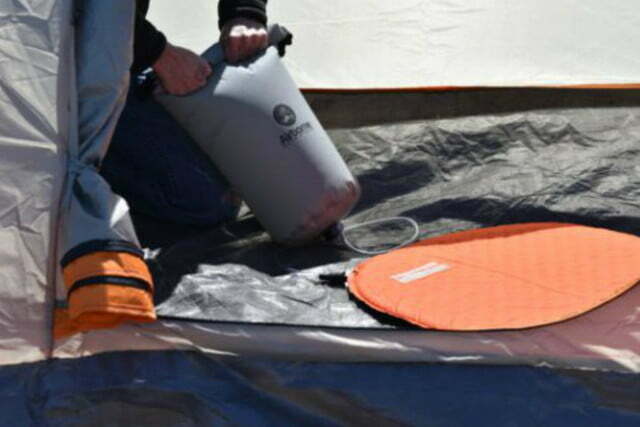 The Bitteroot Dry Bag is just that — a sleeping pad pump, water filter, and dry bag all in one. A successful backpacking trip requires figuring out logistics in many different categories including hydration, packing, and sleeping. 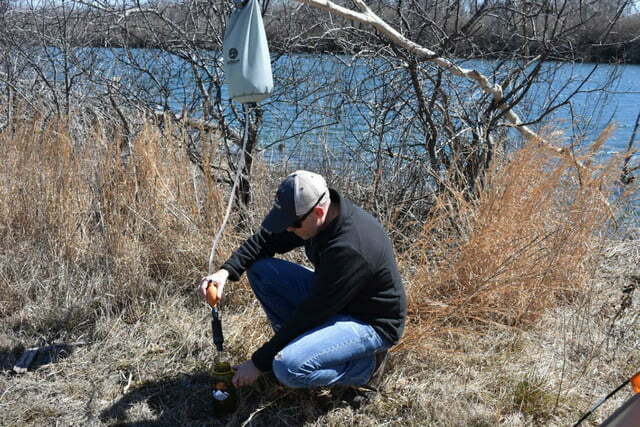 The Bitteroot Dry Bag offers a solution for an element in each category, making for a truly versatile piece of gear that tips the scales at just 12.5 ounces, including the bag, filter, and hoses. Use the Bitteroot as a dry bag in inclement weather — toss in your valuables and electronics including your cell phone, GPS device, batteries, headlamp, and other items susceptible to water damage. Alternatively, you can use it to keep your clothes dry. The Bitteroot features an 18-liter capacity. If you’re going to encounter any kind of water source along your hike, save weight and carry less water. 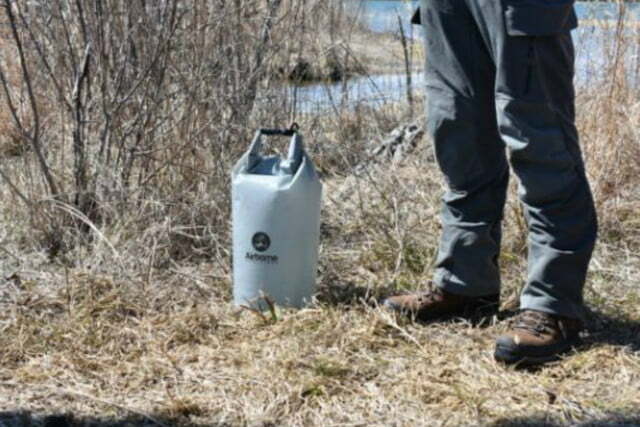 The Bitteroot functions as a gravity-style virus level water filter when paired with the Aquamira’s Frontier Max. 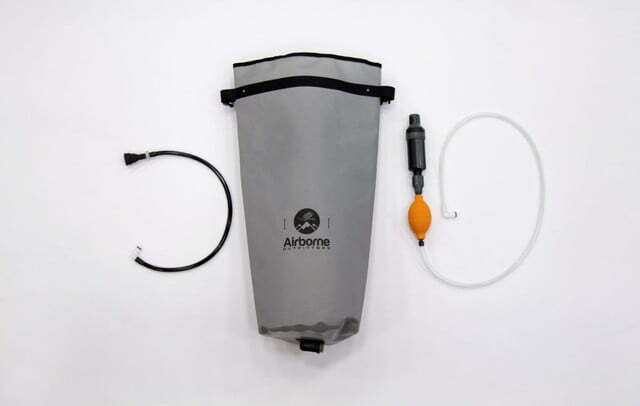 This filter removes viruses, bacteria, Cryptosporidium, and Giardia and is good for 120 gallons of use in the field. The Bitteroot filters approximately a liter of water every three minutes, depending on the level of sediment. The system needs to be primed with just a few pumps and you can enjoy hands-free filtration thereafter. At the end of a long day on the trail, setting up camp might seem like a chore. Blowing up a sleeping pad is probably one of the last things you feel like doing — so let the Bitteroot do all the work for you. All you have to do is connect one end of the black hose to the bag and the other end to the pad, allow the bag to fill with air, and roll it down to inflate your mattress. The product is made from 200 Denier Nylon and can withstand extreme temperatures ranging from -40 to 315 degrees Fahrenheit. Although crowdfunid products are not guaranteed, the Bitteroot Dry Bag has been funded more than twice beyond its goal. 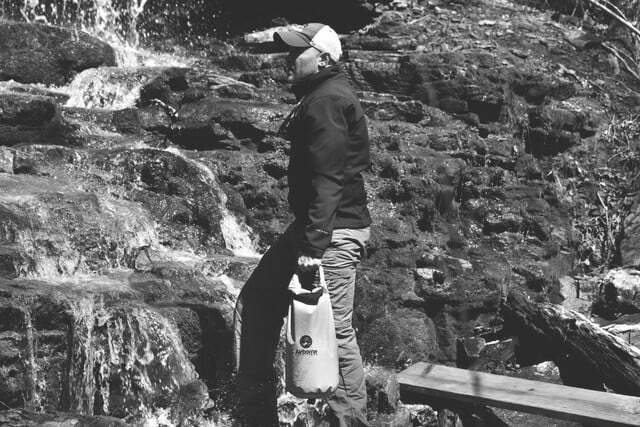 An $85 pledge to Airborne Outfitters gives you the chance to be one of the first to get your hands on a Bitteroot Dry Bag.